Marc Pugh and Tyrell Hamilton scored twice each as AFC Bournemouth kicked off their Premier League Cup campaign with a 7-1 victory over Burnley at Vitality Stadium. 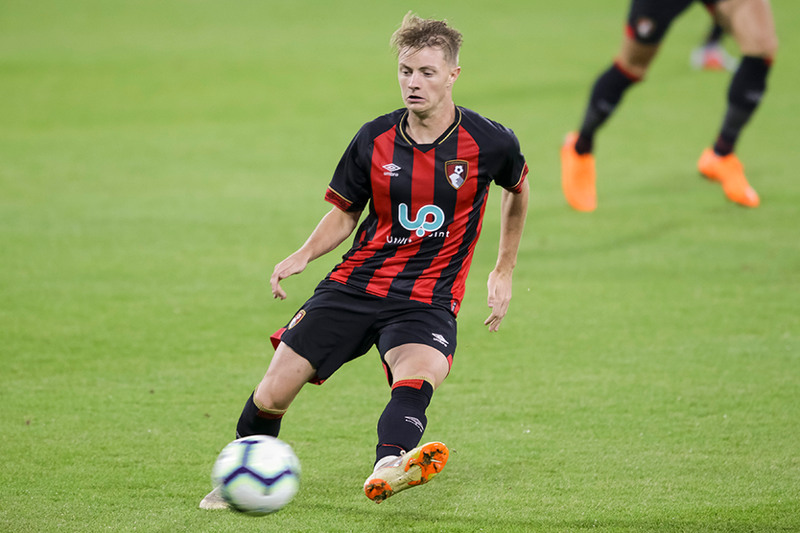 Carl Fletcher’s side included a contingent of senior players, including Charlie Daniels, Tyrone Mings and Pugh, who opened the scoring on 17 minutes. The hosts carved out a 4-0 lead with Pugh scoring his second either side of a strike by Keelan O'Donnell (pictured), while Gavin Kilkenny was also on target in the 65th minute. After Dan Agyei’s smart turn and finish for the visitors, Alex Dobre made it 5-1 for the Cherries. Second-half substitute Hamilton then scored from long range on 87 minutes before rounding Clarets goalkeeper George McMahon in added time to complete the scoring. Fulham got their Premier League Cup off to a winning start with a 2-1 victory at Birmingham City. Luca De La Torre opened the scoring on 16 minutes with a low drive into the corner from the edge of the penalty area. Five minutes later Harvey Elliott doubled the lead with a volley from 20 yards out. Although Tom Anderson reduced the deficit in the 66th minute when his first-time effort evaded the reach of Luca Ashby-Hammond, the visitors held on. The Cottagers join Reading at the top of Group G on three points.